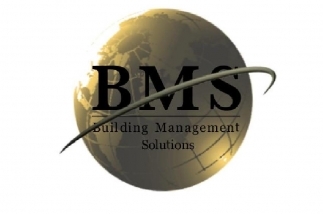 Our company is the best response to all of your building maintenance needs. We are headquartered in Fresno, serving all of Northern and Central California. We offer a variety of services, including, Floor Care Services, Specialized Construction Clean-ups and Comprehensive Building Maintenance. Our company delivers superior services to meet each of our client's specific needs and requests. With more than 15 years of experience in Commercial Cleaning Services, Building Maintenance, Floor Care Services, and Construction Clean-Up, Building Management Solutions is dedicated to delivering superior services with quality care for corporate clients throughout the Central Valley, the I-99 Corridor from Sacramento to Bakersfield, the Monterey Peninsula and the North Bay Area of San Francisco. We now have operations all over Northern and Central California from Bakersfield to Sacramento, as well as the Monterey Coast and the Bay Area. Our goal each and every day is to provide our clients with the best possible services at affordable prices. Our company foundation has been built on the development of long-term relationships with our clients based on delivering reliable and consistent cleaning and maintenance. We hold ourselves to the highest level of standards and practices, expecting professional conduct and integrity from all of our Cleaning Team members. What sets us apart from our competitors is that we carefully select, train and develop each employee. All Cleaning Team members are crossed trained in floor care, window care and general commercial cleaning services. Each client is assigned a Team Supervisor who is in charge of site and supply management, scheduling, quality control and team supervision. Our supervisors do frequent site inspections and customer service calls to ensure the highest quality cleaning and maintenance.